← Why do we drink tea? The choices are basically six different grades of green tea, one oolong, one tieguanyin, five floral teas, and one (probably cooked) puerh. 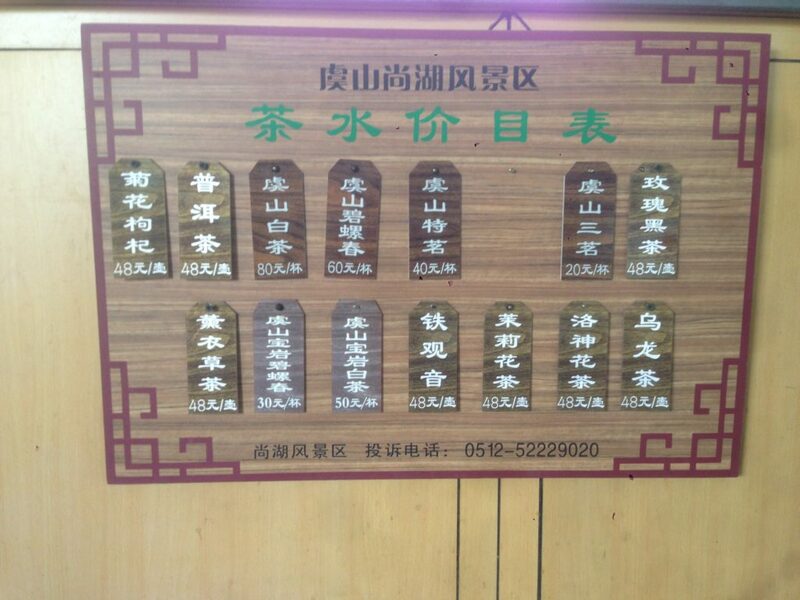 You’ll see that prices are quoted in either per cup or per pot, and they are in RMB – not very cheap, by any means. The cheapest and the most expensive are both green teas, and the ones that are 48 are all the non-greens. Green is by far the safest choice. This was a mid-priced one. If you go low the tea is going to be a bit nasty. 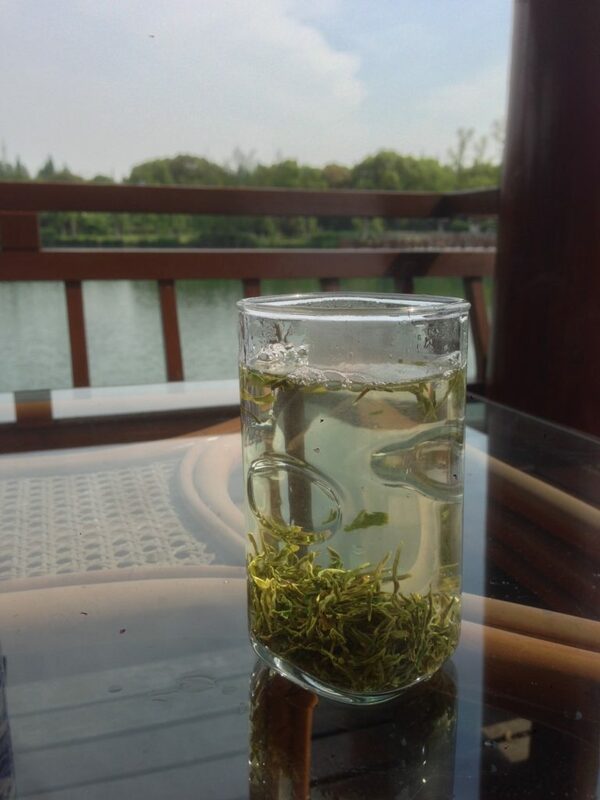 Paying $10 USD for a glass of tea with like 3g of leaves is a bit rich, and is a bit of a waste. Then again, their profit margins on these things are sky high regardless. I’m pretty sure the entire cake of cooked puerh probably costs as much as one order here. I wouldn’t touch those with a ten foot pole. Once you settle in though, it’s beautiful, especially if you’ve got a nice view. At the end of the day, the tea is not the point, the time spent in a park is. Sipping tea, talking with friends, watching the scenery – it’s an afternoon well spent. Hi, in what city was that teahouse? Very romantic. Pretty much how I view my quintessential life points: Experiencing something simple and beautiful, thinking about it, and having your tea as the thoroughfare from mindfulness to quale. Beautiful scenery. 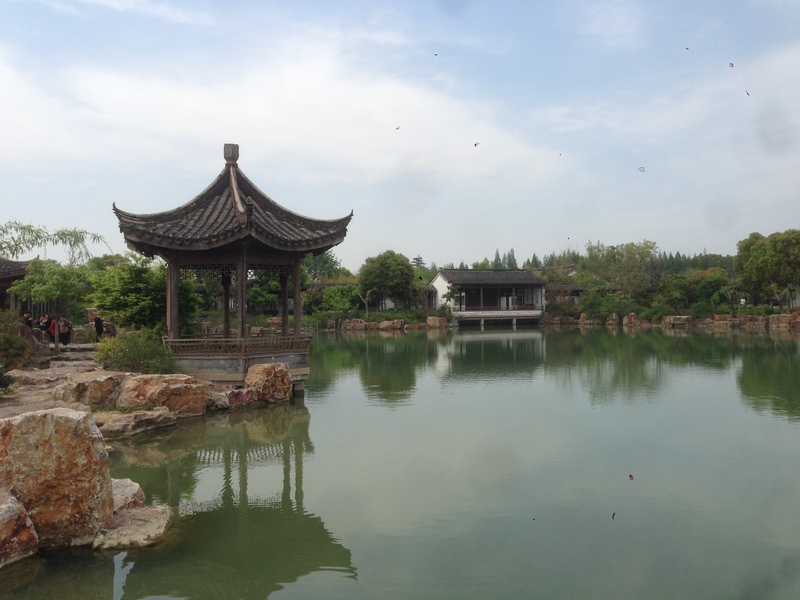 I have fond memories of a similar experience at Tiger Hill in Suzhou. It was quite late in the season, so pretty much no people there, only some old folks enjoying their tea. Many of them brought their own tea and pots, and just paid for the water. We have a fairly average green tea, but as you say, it really is the experience one pays for. Spring is just around the corner here in Oslo, and being fortunate enough to have a balcony overlooking the woods that are, quite literally, only a (very gently) stone’s throw away is a luxury I will try to make the most out of this season. Too bad a lot of my puer has died from the winter air and temperatures. 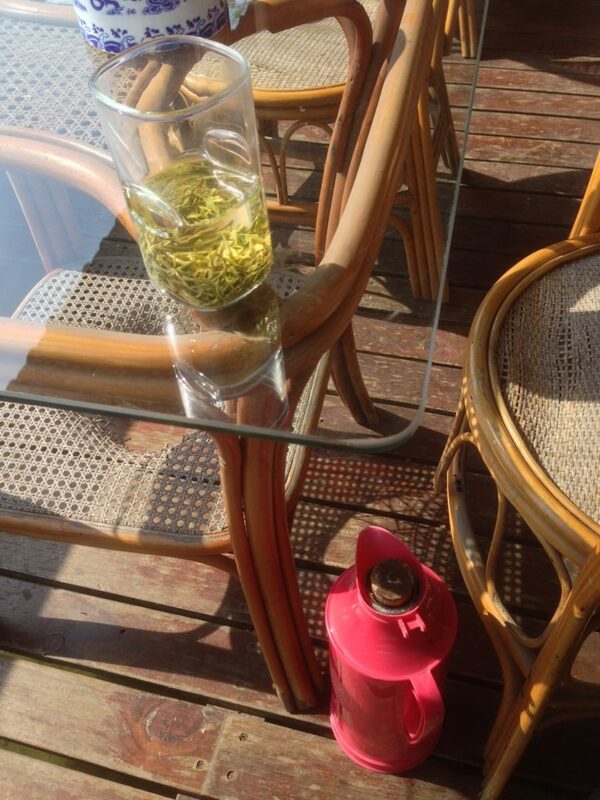 For all other kinds of teas conditions could not be much better. What is your opinion of some vendors committing to organic farming practices and fairer wages for the farmers they partner with, creating more “transparency” in the industry? It sounds amazing but, do you think it is a marketing strategy or a sincere promise to customers? Just curious. Great post. Well, it really depends, but you have to remember that in a place as polluted as China – the air, the water, the soil are all polluted to greater or smaller degree (especially in places like Zhejiang or Fujian) and so even organic teas are, well, affected. As for so called fair-trade – I think you can easily find various arguments for or against it online. Let me just say that just because a vendor can name the farmer from whom the tea is sourced doesn’t say anything about the quality of the tea. Such a nice place, quite and calm. I could feel relaxed just by seeing the pictures. Thank you very much for sharing.